One year ago today. Germany’s triumph at the 2014 World Cup is still as relevant as ever, both in the media and in the minds of people. Memories of German success are used in all areas as people keep looking back to the past. Mesut Özil isn’t just looking back, however – he’s making a difference in the present and for the future, with the help of his "Mesut Özil Foundation". One year after the World Cup, the Germany international has donated money to pay for a further eleven operations for Brazilian children in need. "Özil’s Eleven" will undergo operations between the 24th October and 7th November 2015 at a hospital in Coroata, located in the north-east region of Maranhao in Brazil, in cooperation with the children’s aid programme BigShoe. 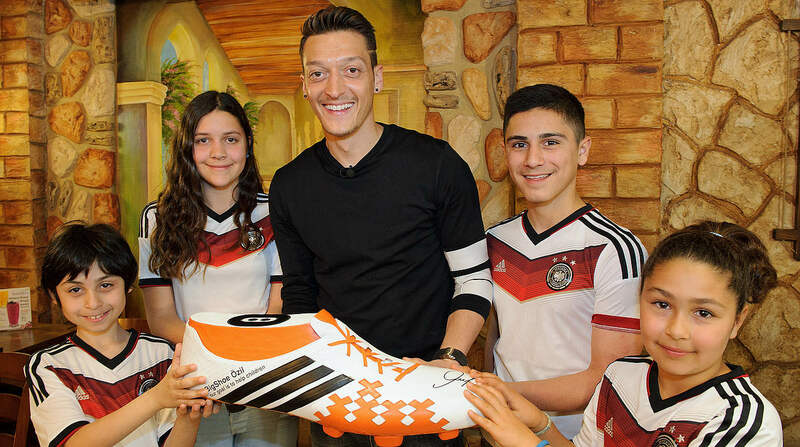 "Even one year after we won the World Cup, I want to continue to leave a positive mark in Brazil by financing eleven more children’s operations," said Özil. "For me it’s very important that I carry on providing help for the children of Brazil." In 2014, Özil made his first appearance as an ambassador for the Brazilian aid programme BigShoe and was presented with the 2014 Laureus Prize for charity work.